We learned last week that Journaling is just another way of expressing yourself and that there aren’t any rules really. So, if it’s so easy and there aren’t any rules, why do I sit and stare at my page? Here are a few things you might consider doing to shake things up a bit and get that creativity flowing! Don’t do what you usually do! If you usually write out your dreams/goals/ideas or aspirations in your journal, today draw them! Or find images and text in a magazine and paste it to your page to tell your story. You could paint it, doodle it, or simple doodle. I love to doodle! Don’t know where to start? Put your pen in the middle of the page and draw a swirl. Add a line. Add a word. Add a kitten. Draw a balloon. Do you see a cloud? How about a Heffalump? Change up your environment. If you usually write at your kitchen table, maybe consider a local coffee shop or the park watching the kids run and jump and play. Getting out of your regular routine might help spark some new ideas. Google it. 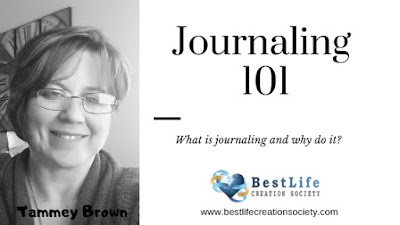 Looking for new things to write about? Go to your favorite search engine and search for journal prompts. There are hundreds and hundreds there. What do you love? Why do you love it? How can you get more of that in your life? Boom! Inspiration! Gratitude – what are you grateful for? It’s ok to start small or really big. I’m grateful I woke up this morning! MMM I’m so thankful for the hot, delicious coffee I’m sipping on right now. I’m so thankful for my warm home as the 40 mph winter winds dance around outside. What are you most thankful for? Pick an activity. Write five or six things you are very passionate about. Make a crossword or wordsearch to fit in those words. Or simply write them on your page and color/doodle/paint/glitter or fill them in with whatever makes your heart sing. Sometimes music helps. Sometimes quiet does. Sometimes not writing at all is the thing to do. Sometimes I just need to grab my camera and go for a walk or call a friend or hit Pinterest. Sometimes I really need to talk to a friend. Sometimes I need to connect to a good life coach or mentor to work through this. Sometimes, just sometimes, I just need to write it out. 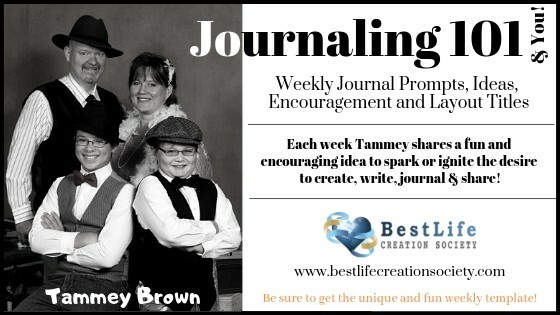 Each week I will share a journal prompt under the heading Journaling 101 in the weekly newsletter! The prompt is meant to spark ideas and action, but what you create is whatever feels good to you! Splats of color on a page with a quote on it IS journaling! A poem is journaling! Writing out your desires, prayers, dreams, ideas, and feelings IS journaling! Note from Tammey: Did you know there is an online, open workshop the second Thursday of each month? READ MORE!